Four contemporary choreographers from diverse backgrounds come together to create distinctly original works for the Paris Opera’s resident dance company, leading the dancers to a new form of modernity where bodies vibrate with intensity. 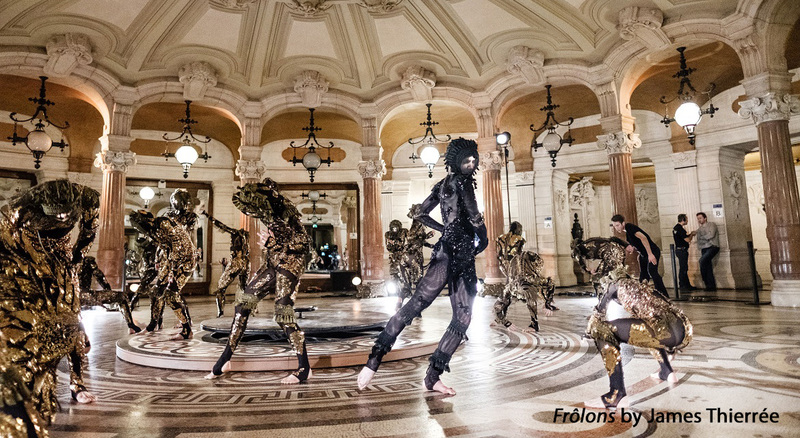 Swiss-born James Thierrée takes over the Palais Garnier’s public areas and introduces us to his dream-like world in Frôlons. Israel’s Hofesh Shechter, often lauded for his trance-evoking dances, offers a new version of his piece The Art of Not Looking Back. 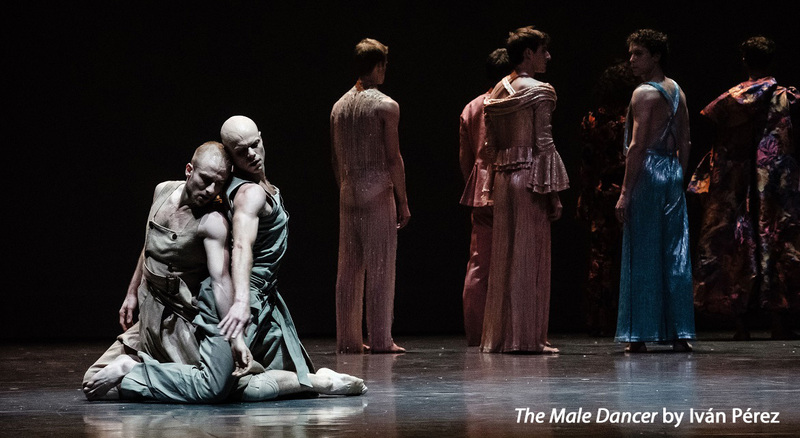 Spain’s Iván Pérez occupies the stage of the Opera for the first time with The Male Dancer, a breath-taking creation for ten male dancers. 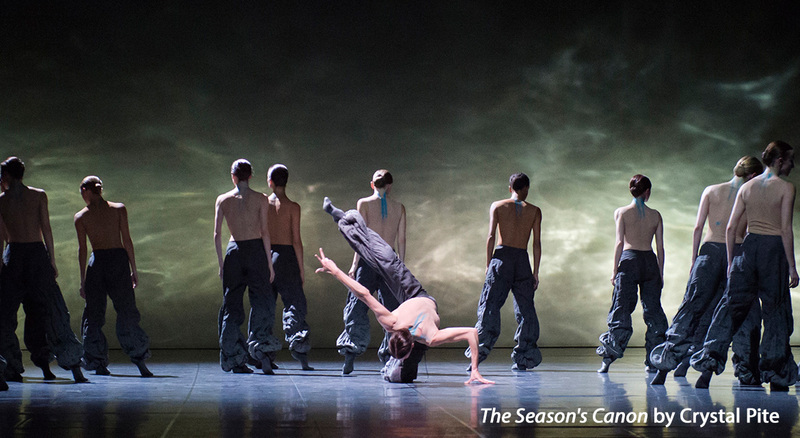 Canada’s Crystal Pite returns with The Seasons’ Canon, a dazzling creation that thrilled audiences at the Palais Garnier in 2016. Coffee, tea, and cookies will be served during the intermission. Director, author, composer, musician, performer, acrobat, and dancer, James Thierrée was born in Lausanne, Switzerland. From 1978 to 1994, he toured with Le Cirque Bonjour, Le Cirque Imaginaire, and Le Cirque Invisible. Between 1994 and 2012, he worked with Peter Greenaway, Robert Wilson, Carlos Santos, Beno Besson, Coline Serreau, Agniezka Holland, Jacques Baratier, Tony Gatlif, Claude Miller, Jacques Doillon and Roschdy Zem, among others. In 1998, he created his own company La Compagnie du Hanneton. The same year, he directed The Junebug Symphony, which won Molière Awards for best public performance, directing, theatrical newcomer, and best costumes for Victoria Thierrée in 2006. He has directed and performed in Bright Abyss (2003), Farewell Umbrella (2007), which won a Molière Award for regional touring, Raoul (2009), Tabac Rouge (2013), which won a Molière Award for visual effects in 2014, and The Toad Knew (2016). One of the most gifted artists of his generation, Hofesh Shechter is the Artistic Director of the UK-based Hofesh Shechter Company, formed in 2008. The company is resident at Brighton Dome and Shechter is an Associate Artist of Sadler’s Wells Theatre. His recent works for his company include Uprising (2006), In your rooms (2007), The Art of Not Looking Back (2009), Political Mother (2010), Survivor (in collaboration with Antony Gormley at the Barbican, 2012), Sun (2013), and Barbarians (2015). Shechter has also staged and choreographed works for leading international dance companies including the Royal Ballet, Netherlands Dance Theatre, Alvin Ailey American Dance Theatre, Cedar Lake Contemporary Ballet, Bern Ballet, Carte Blanche Dance Company, Candoco, and Batsheva Ensemble. He has choreographed for theater, television, and opera, notably at The Metropolitan Opera in New York for Nico Mulhy’s Two Boys, the Royal Court on Motortown and The Arsonists, the National Theatre on Saint Joan, and for UK Channel 4’s series Skins. 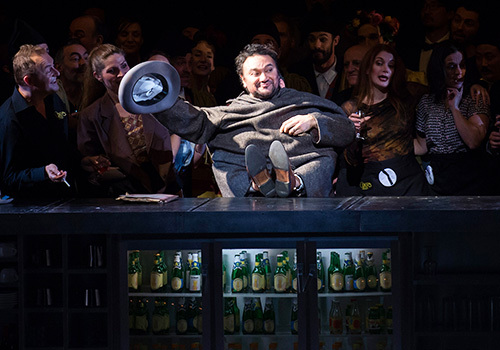 As part of #HOFEST, his own 4-week festival in four iconic London venues, he co-directed Gluck’s Orphée et Eurydice with John Fulljames at the Royal Opera House. In 2016, he was nominated for a Tony Award for his choreography for the Broadway revival of Joseph Stein’s Fiddler on the Roof. Born in Spain in 1983, Iván Pérez is a choreographer, director, and dancer based in the Netherlands. Iván Pérez began his career as a dancer with IT Dansa and the Netherlands Dans Theater (NDT). In 2006, he was nominated for the ‘Swan Best Dancer’ for his role in Indigo Rose by Jiří Kylián and received the award for ‘Best Interpretation’ during the International Choreography Competition New York-Burgos for his own solo, Polvo. After his debut choreography for the Netherlands Dance Theatre 2 Flesh (2011), Iván Pérez fully committed himself to his career as a choreographer. Working freelance, he created and set work for international companies such as Balletboyz, Ballet Moscow, Compañía Nacional de Danza, and Dance Forum Taipei. As an associate choreographer of the Dutch production house Korzo, he created Kick the Bucket (2011), Hide And Seek (2013), Exhausting Space (2015), and Waiting for the Barbarians (2016) with director Michiel de Regt. His works have toured in the Netherlands and internationally and have been shown at the prestigious Sadler’s Wells Theater in London and the National Theater of Taipei, among others. In 2016, he founded his own company INNE in the Netherlands. Deeply interested in exploring potentialities beyond dance, he collaborated with filmmakers and theater directors to develop new methodologies of movement. From 2016 to 2018, Iván was Associate Choreographer at ZfinMalta Dance Ensemble. In 2018, he served as curator of the Brave Festival in Wroclaw (Poland). He joined the new Dance Theatre Heidelberg (DTH) as Artistic Director in September 2018. Canadian choreographer and performer Crystal Pite is a former company member of Ballet British Columbia and William Forsythe’s Ballett Frankfurt. 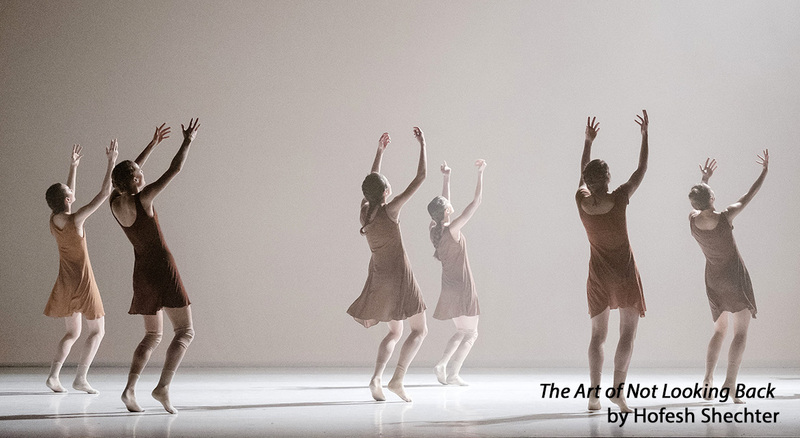 Pite’s professional choreographic debut was in 1990 at Ballet British Columbia. Since then, she has created over 40 works for companies such as Nederlands Dans Theater I, Cullberg Ballet, Ballett Frankfurt, The National Ballet of Canada, Les Ballets Jazz de Montréal (Resident Choreographer, 2001-2004), Cedar Lake Contemporary Ballet, Ballet British Columbia, and Louise Lecavalier/Fou Glorieux. She has also collaborated with Electric Company Theatre and Robert Lepage. Pite is an Associate Choreographer at Nederlands Dans Theater, Associate Dance Artist at Canada’s National Arts Centre, and Associate Artist at Sadler’s Wells, London. In 2002, she formed her own company Kidd Pivot in Vancouver. Kidd Pivot tours nationally and internationally, performing works such as Dark Matters and Lost Action. Kidd Pivot’s residency at the Künstlerhaus Mousonturm in Frankfurt (2010-2012) provided Pite the opportunity to create and tour The You Show and The Tempest Replica. More recently, the company has premiered Betroffenheit, a co-creation with playwright and actor Jonathon Young of Electric Company Theatre. Adrian Danchig-Waring is a Principal Dancer with New York City Ballet, where he has performed since 2003. He was a founding member of Morphoses The Wheeldon Company (2007-2009), and has pursued project-based collaborations with artists such as Eliot Feld (Mandance, 2008), Luca Veggetti (The Bacchae, 2011), and Pontus Lidberg (Warriors, 2010 and Labyrinth Within, 2012). Since 2014, Mr. Danchig-Waring has worked in partnership with New York City Ballet’s Education Department and The Weinberg Family Cerebral Palsy Center to develop a series of movement workshops for children with CP. This programming has expanded to include an ongoing partnership with NYU Langone focussing on young adults with Cerebral Palsy. Mr. Danchig-Waring is the Director of the New York Choreographic Institute and was a 2017/2018 Research Fellow at the New York Public Library for the Performing Arts, Jerome Robbins Dance Division.